Southern Africa faces the world's worst humanitarian crisis because of AIDS, hunger and a weakened capacity to govern, a top U.N. envoy said Tuesday. Southern Africa is at the center of the AIDS pandemic, with some of the highest infection rates in the world, James Morris said at the end of a four-nation tour. Nearly 38 percent of 19- to 45-year-olds in the tiny kingdom of Swaziland are infected with HIV, the virus that causes AIDS. Except in Zambia, erratic rains have slashed food production across the region. Swaziland and Lesotho have declared national disasters. At the same time, AIDS is killing the very people needed to confront the disease and hunger: farmers, health workers, teachers and other professionals. "What is happening in southern Africa absolutely represents the most serious humanitarian crisis in the world today," said Morris, U.N. Secretary General Kofi Annan's special envoy for humanitarian needs in the region. The crisis dwarfs even that in the conflict-ridden Sudanese region of Darfur, where thousands have died and more than 1 million displaced, Morris said. 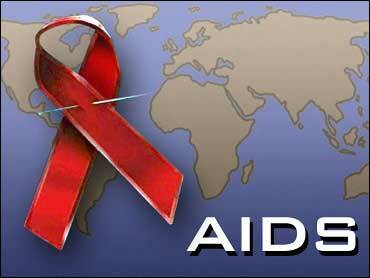 Some 30 million of the 40 million people worldwide infected with HIV live in sub-Saharan Africa. Average life expectancy has dropped to just 46 and there are already 11 million orphans. While there is a growing sense of urgency on the part of the governments concerned, Morris said their capacity to bring help to those who need it is "modest at best." International donors have promised millions to help confront the crisis. Morris' weeklong trip included stops in Mozambique, Malawi, Namibia and Swaziland, although he postponed a stop in Zimbabwe when the government said it could not make senior officials available. Morris expressed disappointment, saying Zimbabwe has one of the highest HIV infection rates in the world, at close to 34 percent. Life expectancy has dropped to 33, and the disease has orphaned 800,000 of its children. Zimbabwe's decision underscores a deepening rift between the United Nations and President Robert Mugabe's government, which says it is expecting a bumper harvest this year and no longer needs emergency food aid. Morris applauded the government's willingness to take responsibility for feeding its people. But he said it would be "one of the most remarkable turnarounds in history" if the country in which the World Food Program was feeding more than 6 million people last year could now support all but the most vulnerable on its own. U.N. crop forecasts estimate Zimbabwe will produce only half the food it needs this year. Opposition groups accuse Mugabe's increasingly autocratic regime of trying to use food distribution as a political weapon ahead of key parliamentary elections next year. Morris called the distribution of food on any criteria other than need "abhorrent" and said he looked forward to an invitation to meet with Zimbabwean officials.